The acquisition of LinkedIn on Monday for $26.2 billion is not only Microsoft’s priciest acquisition to date, but likely the most data-driven as well. In terms of data acquisition, LinkedIn could prove a powerful addition to Microsoft’s suite of software products and services. 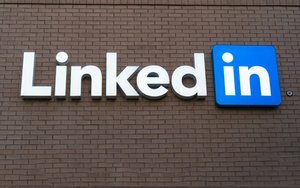 LinkedIn has a database of 433 million users in addition to 2 million paying members, likely amounting to a treasure trove of contact information and professional resumes. As the value of data in tailoring customer interactions becomes a greater focus, the LinkedIn acquisition could become an example of the challenges any organization will face when acquiring large sets of data in the future. Microsoft’s Outlook email service is the most popular business email client -- and if combined with LinkedIn’s professional data, could become a data-driven CRM platform rivaling Salesforce. Dimitri Sirota, a cybersecurity professional and CEO of BigID, warns about the potential security and privacy risks associated with integrating data across formerly separate entities. “This is a rare and interesting situation when one of the world's largest software companies is buying one of the largest databases of personal information,” says Sirota. Sirota says that thanks to APIs, transferring data between mobile applications, devices, data centers or the cloud has never been easier. The problem, however, lies in tracking and managing the data to ensure protection of a user’s privacy. Regulators that are vigilant about privacy such as the European Union or Federal Trade Commission, says Sirota, will likely be looking at this acquisition very closely. He also believes Microsoft will need to invest heavily in how their applications use LinkedIn’s data without compromising a sense of privacy.